Big, open skies are a defining feature of the countryside and on a clear night you can see some 4,000 stars sparkling in our universe. Take a look below at our great stargazing spots, and why not download one of our Dark Skies walking guides? Situated on the edge of Salisbury Plain, the prehistoric ceremonial landscape of Stonehenge occupies a large, sparsely populated area of ancient downland ideal for star gazing. The monuments here are directly connected to the skies above, with stones aligned to moonrises and moonsets, in addition to the Midsummer and Midwinter solstices. Keep an ear out for the Stone Curlew's haunting 'coo-ree' bird call, particularly in autumn. moon will be out of the way early, setting the stage for a potentially spectacular show. For best viewing, pick a cloudless night and look to the northeast after midnight. The July and August skies are filled with all manner of interesting objects that can be viewed in dark sky conditions. Arrive before sunset to see the ancient earthworks at their best in slanting evening light. The banks of the 4,000-year-old Stonehenge Avenue can be seen leading north-east, away from the stone circle. The Perseid meteor shower is set to peak around 12/13 August, but it’s well worth keeping an eye out for meteors any time from July 23 to August 22. The thin, crescent moon will be out of the way early, setting the stage for a potentially spectacular show. For best viewing, pick a cloudless night and look to the northeast after midnight. Arcturus, part of Bootes the Kite. The pretty group of curved stars to the east of Arcturus is Corona Borealis, a cornet of stars. The Plough/Big Dipper is in the north west sky and becomes the tail and rear end of the Great Bear/ Ursa Major. If the sky is dark and clear of any clouds you should be able to make out the Milky Way, a ribbon of millions of stars threading its way across the heavens. If you are using binoculars this really is a stunning sight. As ever, the verdict from the visitors arriving by the coach-load at Stonehenge was mixed: wonderful monument, poor access, disappointing facilities. 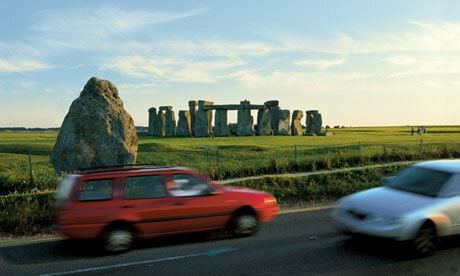 And what is it with those two busy roads rumbling within a few metres of the stones? But finally, after years of planning, scheming and wrangling, changes are afoot. On Wednesday work officially began on a £27m project to transform the area around Britain's most famous monument from a "national embarrassment" into a tranquil and dignified setting. 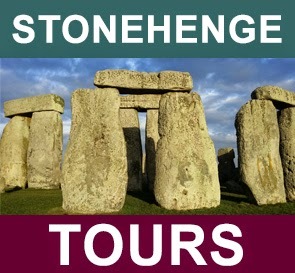 The project, which will take two years to complete, is bound to be controversial – anything involving Stonehenge is. Few will argue against the key concept of making it possible to walk to the stones from the landscape without risking collision with a juggernaut. The removal of stock fences and ugly security barriers is also bound to be welcomed by just about everyone. English Heritage will be limiting the number of people who can arrive by car or coach via its planned new visitor facilities. In the future, tourists will have to book to be sure of a place in the car park and on the shuttles that will ferry them to the stones. A visit to England's greatest prehistoric site will take a little bit of thinking ahead. Bad news for people like Dave Willetts, who was to be found gazing at the stone circle not just for cultural reasons but for religious ones. He is a pagan and likes to pop up from time to time. "I don't live too far away, I looked out of the window, saw that for once there were blue skies and thought I'd come and see if the stones were still here. I don't like to plan too much. "But it's about time they did something about the place. It is astounding that this amazing monument feels like it is in the middle of a traffic island." 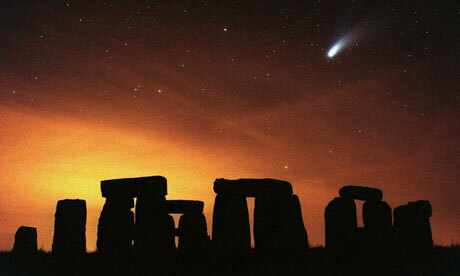 Simon Thurley, the chief executive of English Heritage, agreed the "new dawn" was coming not a day too soon. "The stones have never failed to awe visitors but the setting had been a national embarrassment and disgrace," he said. "After nearly 30 years, English Heritage finally has a scheme that will transform the setting of the stones and our visitors' experience of them." The most dramatic change will be the closure of the A344, which very nearly clips the heel stone at the northern tip of the site. The road close to the stones will be grassed over, linking Stonehenge with a downland dotted with barrows and ancient paths including the Avenue, which starts on the banks of the river Avon near Amesbury and curves around to Stonehenge. This was the route that ancient people used to arrive at the stones and the closure of the A344, together with the removal of two fences, means people will once again be able to walk along the Avenue and up to the circle. The view is one of the best, with the stones gradually emerging out of the landscape. But visitors will still not be able to get right up to the stones; they will be intercepted by staff and asked to pay the admission fee (currently £7.80 for an adult). English Heritage will encourage people to arrive, instead, at its new exhibition and visitor centre, being built 1.5 miles west of the stones at Airman's Corner. Here they will be able to learn about the history of the site, before trundling up to the monument on the "visitor transit system", carriages hauled by a four-wheel-drive vehicle. The ramshackle collection of buildings and tents that currently serve as ticket booths, cafes (rock cakes £2.05) and shops will be knocked down, while the notorious underpass beneath the A344, with its dated murals of prehistoric people, will be filled in. A possible catch is a limit in the number of people who will be able to arrive via the visitor centre, due to open in autumn 2013. A timed ticket system will be introduced to try to make sure the centre is not overwhelmed. No more than 7,650 people a day will be given a ticket. The project will not satisfy everyone. Many members of the pagan and druidic communities want greater access, right up to the stones. Though fences are being removed, security guards will continue to make sure the stones remain out of bounds for most of the time. And the A303 will continue to roar just south of the site. A plan to build a tunnel so that traffic was not visible or audible to visitors to Stonehenge was rejected by the government because of the high costs. 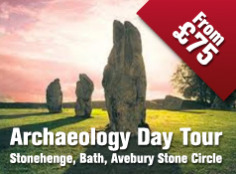 Apart from a £2.6m Department for Culture, Media and Sport grant, which was spent before government funding was withdrawn in June 2010, the money for the project comes from a combination of sources – including £10m from the Heritage Lottery Fund, gifts from charitable trusts and individuals, and English Heritage profits from its commercial activities at the stones. English Heritage says there remains only £500,000 left to raise. With 1 million people visiting Stonehenge every year – and that number could grow with people keen to see how the project is shaping up – finding the extra cash should not be a huge problem. The event will run from 9pm to midnight until tomorrow night. 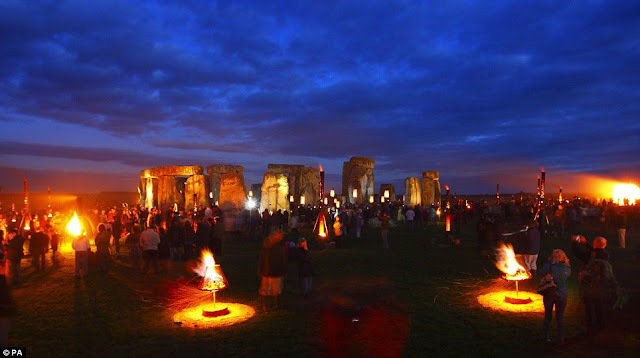 It is better known for being aligned with the rising and setting of the sun but Stonehenge has been transformed into something a lot more fiery. As the sun set last night, the World Heritage site was illuminated with fire sculptures and candle-lit paths to mark the London 2012 Olympic Games. Organised by the Salisbury International Arts Festival, the Wiltshire-based attraction, which runs for three consecutive nights, has been created by French arts group Compagnie Carabosse as part of the London 2012 Festival. Scientists published new research last month that claimed Stonehenge was built to cement a new East West alliance between the former warring tribes of Britain as the country started to become a United Kingdom after centuries of strife some 5,000-4,500 years ago. They rejected notions that the monument was prehistoric observatory, a sun temple, a place of healing, or a temple of the ancient druids. Instead they said it symbolised the ancestors of the various clans inhabiting the area - early farming families - towards the end of the Stone Age, which had been marked by conflict and religious differences. The site already had special significance for prehistoric Britons because its solstice-aligned Avenue sits upon a series of natural landforms that, by chance, form an axis between the directions of midsummer sunrise and midwinter sunset. 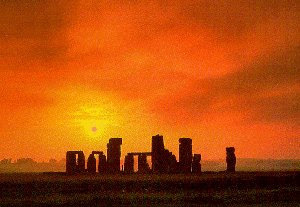 Stonehenge had special significance for prehistoric Britons because its solstice-aligned Avenue sits upon a series of natural landforms that, by chance, form an axis between the directions of midsummer sunrise and midwinter sunset. 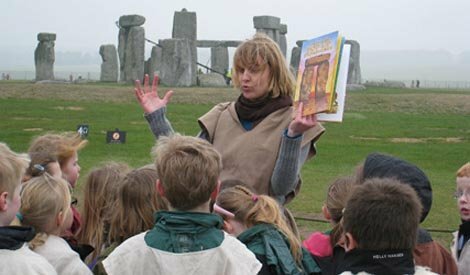 The English Heritage Education team are looking for volunteers to help meet and greet educational groups of all ages and nationalities at Stonehenge. All you need is enthusiasm for working with young people and good communication skills. Weekdays (Wed – Fri) from September to October and March to July. Shifts will last 3-4 hours, from approximately 9.30am – 1.30pm or 12.30pm – 4.30pm. We ask for availability in advance and use a rota system. Volunteers can choose the days which suit them best and as often as suits them. Training and induction to take place before volunteering commences. We are looking for volunteers to start in September 2012 with an induction day on 22nd August at our Salisbury office. To register your interest see how to apply.